Hotel Lo Campagnar offers beautiful views of the surrounding mountains and unspoilt nature. 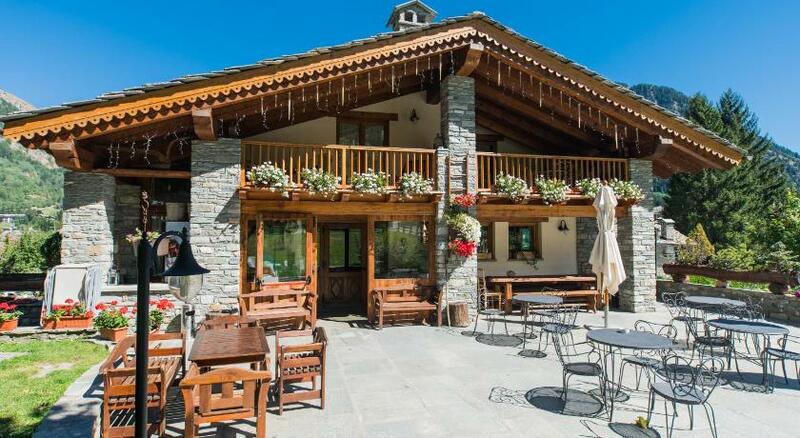 It is 200 metres from the Chècrouit ski lifts, and a 15-minute walk from the centre of Courmayeur. Hotel Lo Campagnar is a mountain chalet surrounded by a lush garden, and offering free WiFi, a hot tub and a heated deposit for skis and other winter-sport equipment. Hotel Lo Campagnar features a large lounge as a space for relaxing and even for holding meetings. During winter season the hotel may only be bookable for long stays or weekly stays.